As soon as Donald Trump virus shown up in the middle of autumn, lots of computer users blamed former candidate to the United States President for spreading malware. However, he has nothing in common with developing and distributing viruses. Sometimes cyber criminals decide to react on important current events and take famous names to create awareness about the infection. 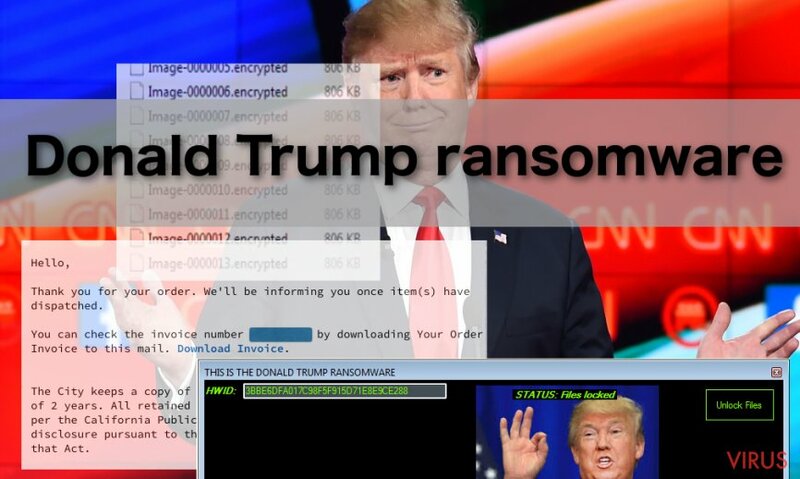 As the analysis has revealed, Donald Trump ransomware has been set up just for fun. Hackers did not have any intentions to swindle the money from regular computer users. Even though ransomware encrypts files, it still leaves a free possibility to decrypt them by simply pressing “Unlock files” button in the lock screen. Sadly, recently discovered Donald Trump 2 virus didn’t leave the chance to restore files for free. Probably, Trump’s success has inspired hackers to update and make a dangerous cyber threat. Malware researchers are still investigating and analysing the latest malware; however, if you got infected with one of these versions you should not waste your time and remove Donald Trump virus. 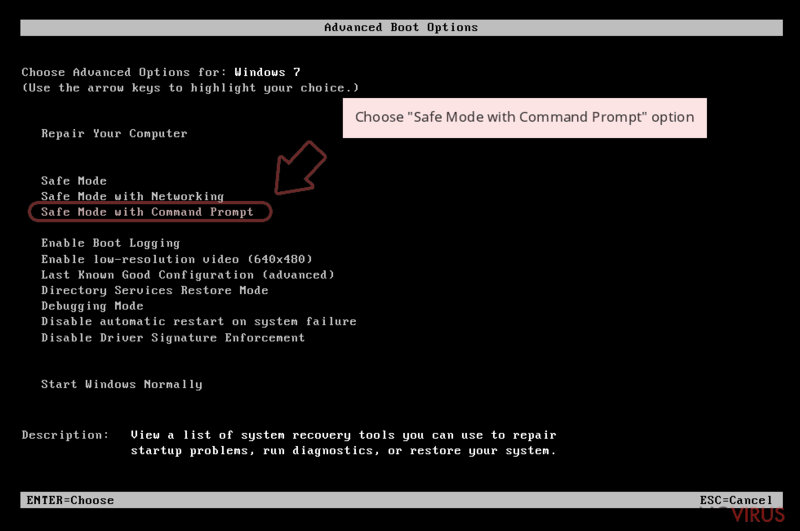 Scan computer’s system with Reimage or other reliable malware removal utility and it should eliminate malware within several minutes. Donald Trump ransomware spread similarly to other ransomware viruses by malicious spam email campaigns. 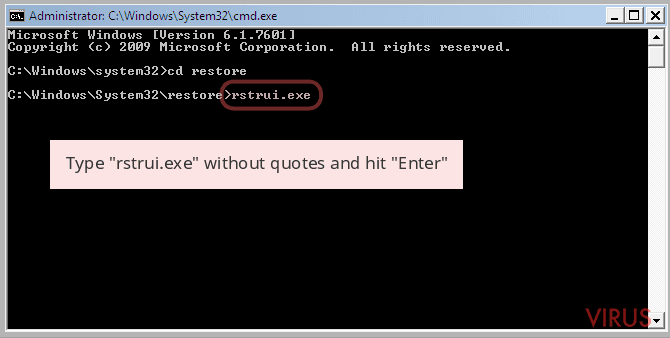 When users click on the infected attachment, malware gets inside and launches CRPT-TRX.exe. Once inside, it looks for necessary file extensions and encrypts them. For data encryption, the malware uses AES algorithm and puts .ENCRYPTED file extension to all corrupted files. In this way, victims can learn which files are damaged and which ones are safe. Following data encryption, Donald Trump malware opens a window with information about ransomware attack. As we already revealed, this window has “Unlock Files” button which recovers all corrupted files for free. Many computer users believe that if they can quickly restore their files, there’s no need to worry about the virus. 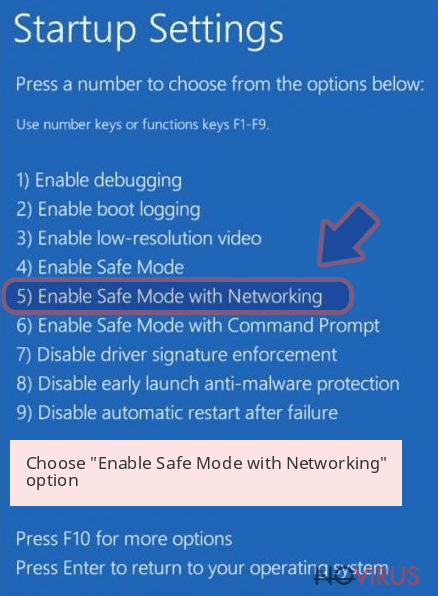 Keep in mind that it still is a malicious application that should be eliminated from the computer. We recommend rushing Donald Trump virus removal especially when the updated version of the malware has already emerged. Talking about specifications and operation of the Donald Trump 2 virus, there’s still lots of uncertainties. Malware researchers are still investigating it, but it is already known that it is an actual cyber threat. It’s too early to tell if this variant is an updated version or a brand new ransomware. However, it’s not important to say that computer users should take some precautions to avoid it. Donald Trump 2 ransomware encrypts files and appends different file extension. All corrupted files have . *** extensions. The malware also delivers a lock screen with a ransom demanding message. Hackers inform that the only way how victims can restore their files is to pay the ransom within 72 hours. Similarly to other ransom notes, hackers use it to scare victims as well. They claim that after the deadline the unique decryption key will be removed and the possibility to restore files will be lost. However, if you became a victim of this malware, you should not follow cyber criminals’ instructions. Instead of that, remove Donald Trump 2 virus from the computer and restore your files from data backups. If you do not have backups, scroll down to the end of the article, because there you will find alternative data recovery methods that may be useful before a free file decryption tool will be created. The developers of the Donald Trump virus use the most popular malware distribution technique – malicious email campaigns. Hackers send hundreds of different spam emails and attach an infected document. Internet users are encouraged to open an ‘important’ document, and once they do it, virus sneaks inside and starts causing havoc. Bear in mind that you should stay away from the spam folder in your inbox and especially avoid opening attached files to them. Cyber criminals may pretend to be from legal or governmental institutions and trick you to open a fake invoice, statement or other important documents. Unfortunately, even safe looking Word or PDF virus may include ransomware. If you got infected with the first version of the Donald Trump ransomware virus, malware elimination and data recovery is not a hard task. With one click you can restore all your files and then remove the malware. However, the second version requires more attentiveness. To remove both malware variants, you have to employ an antivirus or anti-malware program. If your computer is unprotected or you use a free antivirus program, we recommend choosing another reliable tool, for example, Reimage or Malwarebytes MalwarebytesCombo Cleaner. 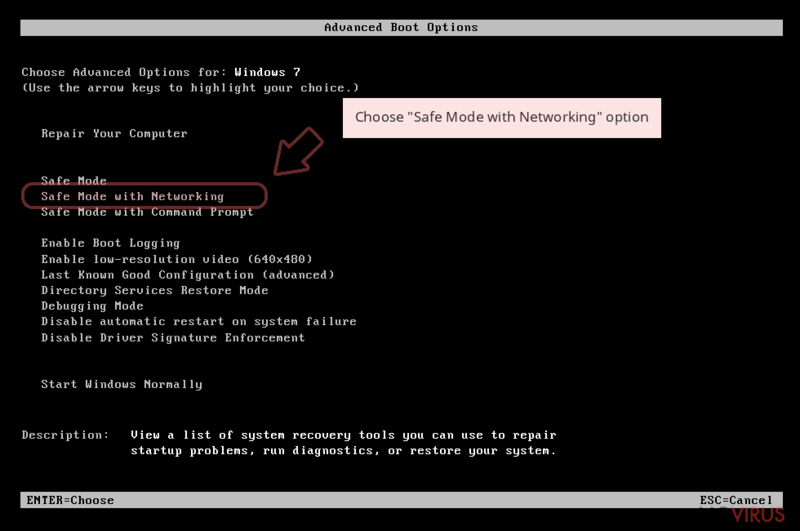 Install and update your preferred program, and then run a full system scan. The program will remove Donald Trump virus with all its malicious components. However, sometimes malware blocks security tools or access to them. If this happens to you, follow the instructions presented below. After Donald Trump virus removal, you can restore your files from data backups or use alternative methods provided at the end of the article. 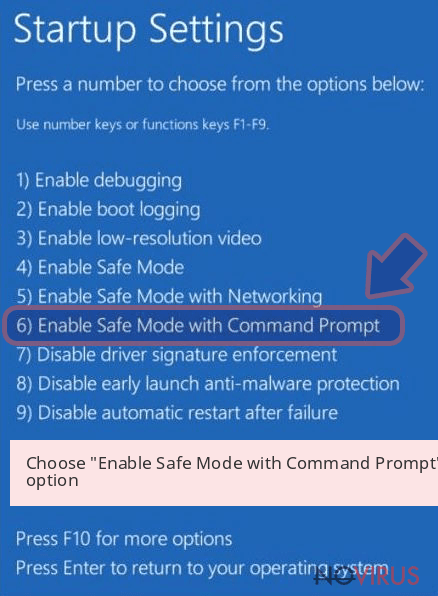 To remove the Donald Trump virus, you should end CRPT-TRX.exe process and scan the computer with Reimage or other reputable anti-malware program. Sign in to your account and launch any Internet browser. Download a legitimate anti-malware software, for instance, Reimage. Make sure you update it to the latest version and then run a full system scan with it to detect and eliminate all malicious components of the ransomware to remove Donald Trump completely. In a new window that shows up, click the Next button and choose a restore point that was created before the infiltration of Donald Trump and then click on the Next button again. After restoring the computer system to an antecedent date, install and check your computer with Reimage to uncover any remains of Donald Trump. Using the tutorial provided above you should be able to eliminate Donald Trump from the infected device. novirus.uk team has also prepared an in-depth data recovery guide which you will also find above. If you have been infected with the first version of Donald Trump virus, you can simply decrypt your files. All you have to do its to click the “Unlock Files” button in the ransomware notification Window. However, if you have been infected with Donald Trump 2 virus, you should try additional data recovery methods presented below. Keep in mind that paying the ransom is not an option! 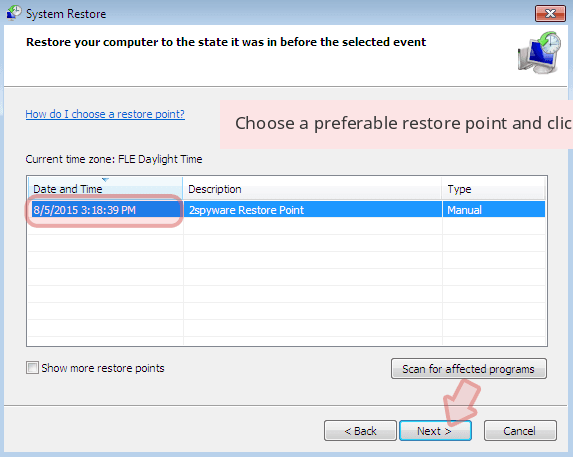 If you have been enabled System Restore function on your PC before Donald Trump ransomware attack, you can follow the steps below and recover some of the individual files. 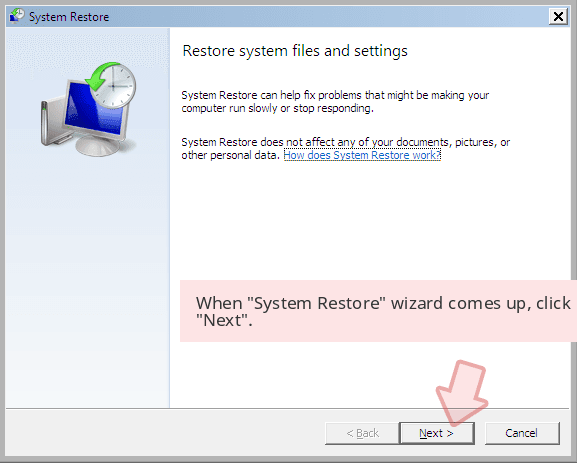 Keep in mind that if System Restore function has not been enabled, this method will not work for you. Additionally, you won’t be able to recover all your files. Donald Trump virus may have failed to delete Volume Shadow Copies from the PC, so you can follow these steps and use ShadowExplorer to recover your files. It is strongly recommended to take precautions and secure your computer from malware attacks. To protect your PC from Donald Trump and other dangerous viruses, you should install and keep a powerful malware removal tool, for instance, Reimage, Malwarebytes MalwarebytesCombo Cleaner or Plumbytes Anti-MalwareMalwarebytes Malwarebytes. This post was published on 2016-11-21 at 11:16. Category: Ransomware, Viruses. What method did you use to remove Donald Trump virus? Cannot remove Donald Trump virus?